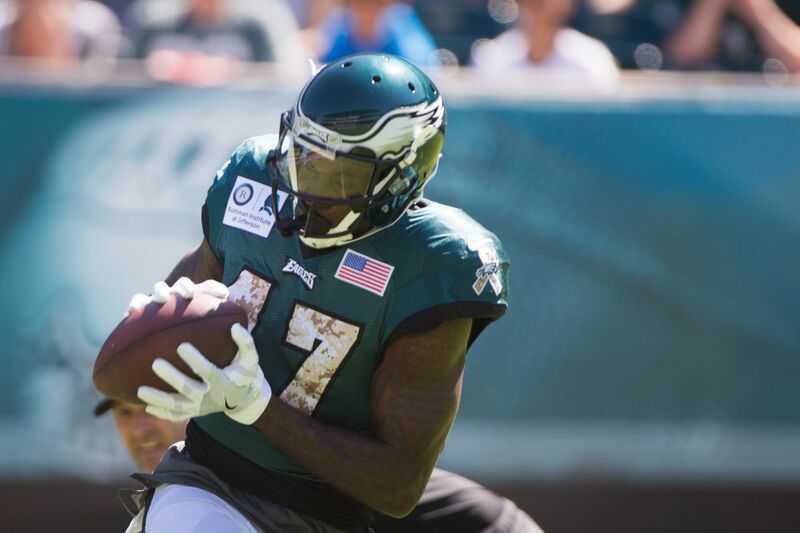 Eagles wide receiver Alshon Jeffery returned to practice on Sunday after missing almost a full week because of a shoulder strain. The Eagles are practicing at Lincoln Financial Field for their second and last public practice of the summer. Jeffery last practiced last Sunday, when the Eagles also practiced at the stadium. He then missed the next four practices, although coach Doug Pederson said the final day was to rest his shoulder. He signed autographs for fans waiting by the team's tunnel before running onto the field. There is still no word on whether Jeffery will play in the preseason opener on Thursday against the Green Bay Packers. The Eagles practice again on Monday and Tuesday before traveling to Wisconsin on Wednesday.